On a private sand beach in Long Island, this hotel is within the vicinity of Palm Bay Beach, Pelican Island, and Conway National Park. 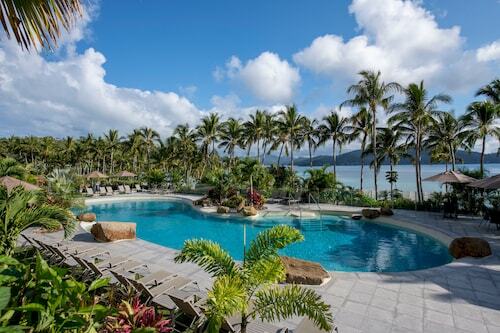 Area attractions also include Hamilton Island Golf Club. To experience a remote tropical island without having to disappear into the wilderness, come to Long Island. The closest to the mainland of Queensland’s Whitsunday Islands, it’s only nine kilometres long but somehow manages to pack in 13 square kilometres of national parks for you to explore. But the biggest attraction is the beach: white sand, coconut palms and blue water with lush green island views. 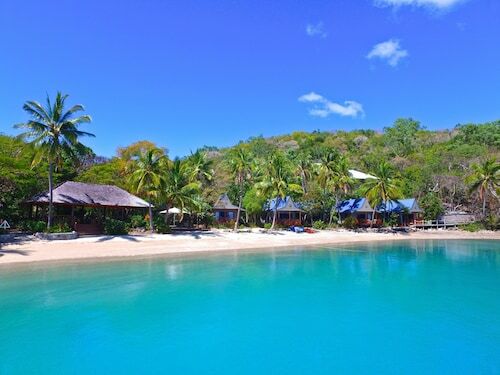 Get a piece of the Whitsundays action and book your Long Island hotel with us! Long Island is a world away from the craziness of a typical tourist destination: you can swim or sunbake on the blissful beach or watch the sun go down while lying in a hammock among the palms while sipping a drink. If you’re keen for a little more action, explore the Whitsundays to the full with a snorkelling or sailing tour. Rather stay dry? Long Island has over 20km of walking tracks leading through unspoilt peaceful rainforest, where you can end up at a glorious lookout or deserted beach. 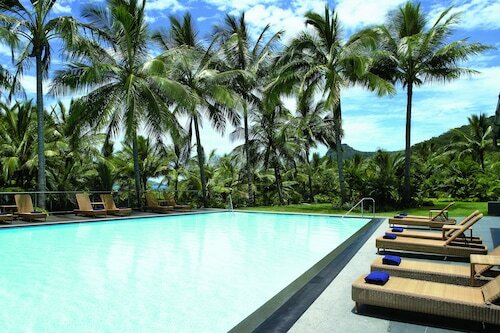 Long Island is only a 20 minute ferry ride away from Shute Harbour in Airlie Beach. You can also catch a ferry over if you’re staying on Hamilton Island. You can take a day trip if you want, but chances are when you get to Long Island you’ll like it enough to stay the night. 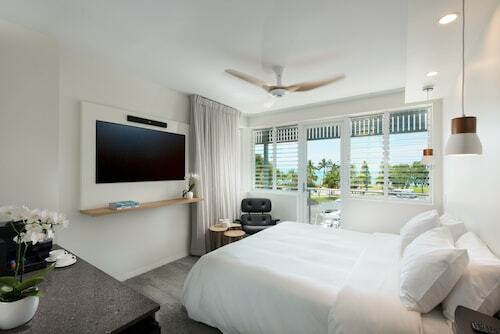 After you’ve stayed, you’ll definitely want to see more of the Whitsundays and the Great Barrier Reef. With 74 stunning islands off the coast of North Queensland, including South Molle Island and Hayman Island, it has an endless amount of things to do and superb sights to see. Amazing beaches and coastlines, national parks and vibrant coral and tropical fish are all part of the package. 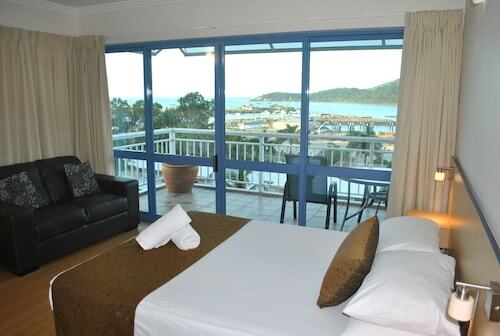 Make the most of your holiday and discover the Whitsundays with our Long Island accommodation. How Much is a Hotel Room in Long Island? Hotels in Long Island start at AU$284 per night. Prices and availability subject to change. Additional terms may apply. Overall the stay was really good. Staff were very helpful, the view was what I was expecting, the rooms were very clean. The only thing I didn’t like were the pillows, they were too soft and lumpy leaving my neck quite sore. The views were lovely. Room had the required facilities.